Wastewater treatment facilities can be designed for physical and biological removal of numerous contaminants. Each plant is unique. Yet, nearly all wastewater plants must provide disinfection before discharging or reusing the effluent. Chemical disinfection was the norm for many years, mostly with the use of chlorine. However, the use of ultraviolet (UV) light for wastewater disinfection has gained popularity over the years. 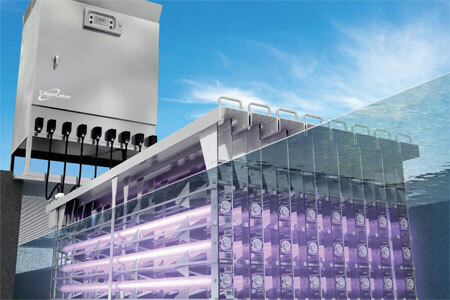 Thousands of wastewater professionals have retrofitted their treatment plants with UV systems, and new facilities include UV for disinfection. Calgon Carbon has been a world leader in the use of UV technology for wastewater disinfection for over 20 years. Water Online spoke with Calgon Carbon to find out how UV technology can provide fast, effective disinfection with no harm to the environment.